"Mint makes this a fresh, cool dip or dressing that can be enjoyed on a cracker, tossed in a salad or used for a vegetable dip. Try it spread on a wrap with sliced roast turkey and your favorite cheese." 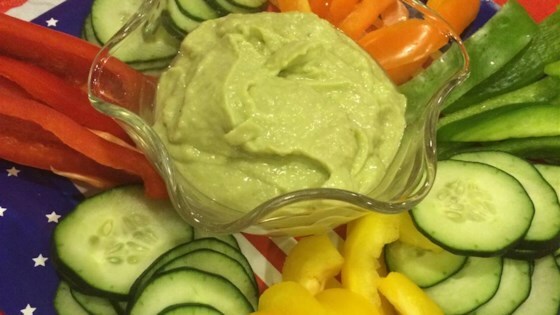 Place cucumber, avocado, onion, green bell pepper, mint, yogurt, olive oil, lemon juice, and garlic in a blender. Process until smooth; season with salt and pepper. Cover and refrigerate overnight before serving. If liquid collects in the bowl as the flavors "ripen" overnight, carefully pour off and stir before serving.